Keep abreast of AIM news by following our blog. Get a glimpse of daily life at AIM. 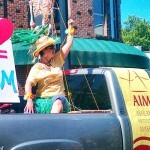 Stay tuned for details about Ashland Institute of Massage events.